Judging by the sheer amount of press coverage, the launch of the PRIME project in Cairo on 12 December generated a great deal of interest. PRIME stands for Promoting Rural Income through Market Enhancement, and is comprised of three components: marketing support, rural finance, and project management and coordination. The total value of the project loan is USD 71 million, and the project aims to reach 50,000 beneficiaries. Certainly, the project, which aims to create jobs, raise incomes, increase food security, reduce unemployment and tackle poverty in rural areas, addresses a pressing need in Egypt. 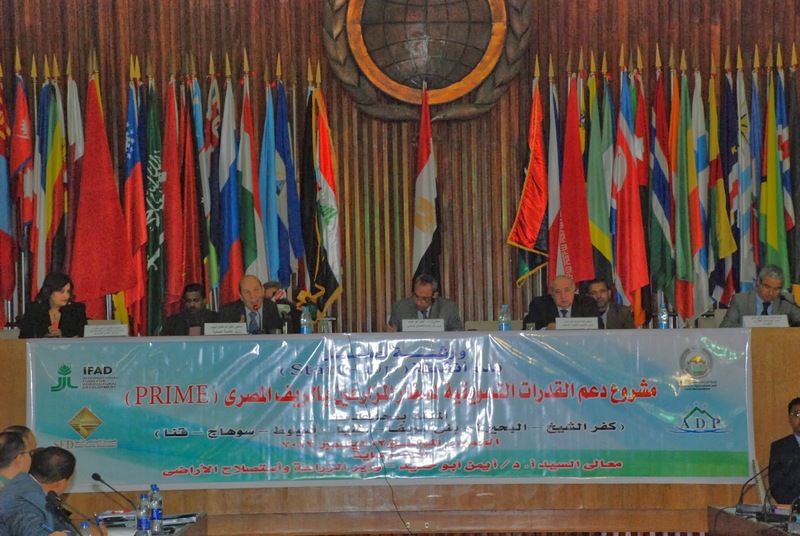 PRIME’s kick-off, hosted by the Egyptian Ministry of Agriculture, was covered by Egypt’s main television channel, which aired the story on the evening news, as well as by several other television stations, newspapers, and online media outlets. At the ceremonies, government officials said that PRIME project activities complement the Egyptian Government’s priorities. The Egyptian Minister for Agriculture and Land Reclamation, the Egyptian Minister of Local Development, and the Egyptian Minister of Supplies each underscored the government’s commitment to the development of marginalized rural areas. Special mention was made of the fact that the project is being widely implemented, across 7 Governorates: Qena, Sohag, Assiut, Minya and BeniSuef in Upper Egypt, and Kafr el Sheikh and Beheira in Delta. In his speech, IFAD’s Country Programme Manager for Egypt thanked the Egyptian Government for its commitment to help smallholder farmers improve their lives. Egypt, he noted, is one of the largest recipients of IFAD’s financial assistance in the NENA subregion. In the current funding cycle, which runs from 2013 to 2015, IFAD has allocated USD 78.8 million in Egypt. 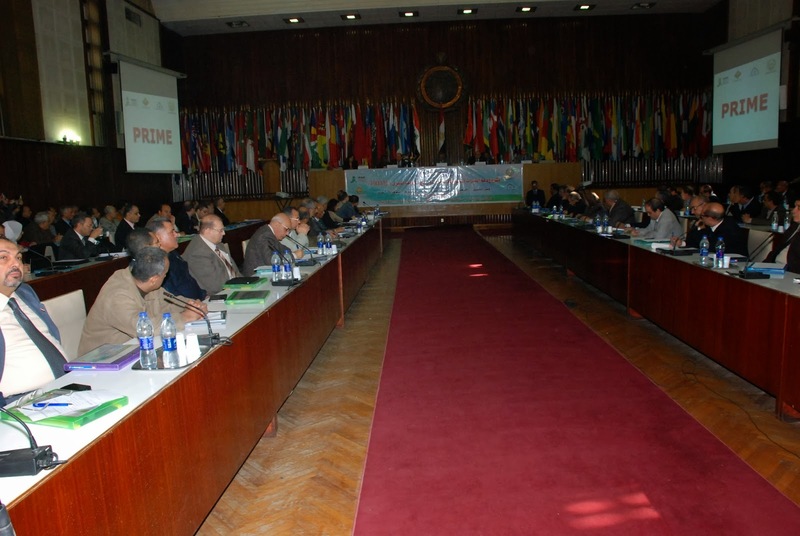 Currently, he added, IFAD is co-operating with the Government of Egypt to design new projects. These will focus on scaling up one of IFAD’s most successful projects, the West Nubaria Rural Development Project, while incorporating new and innovative ideas related to renewable energy and water management. 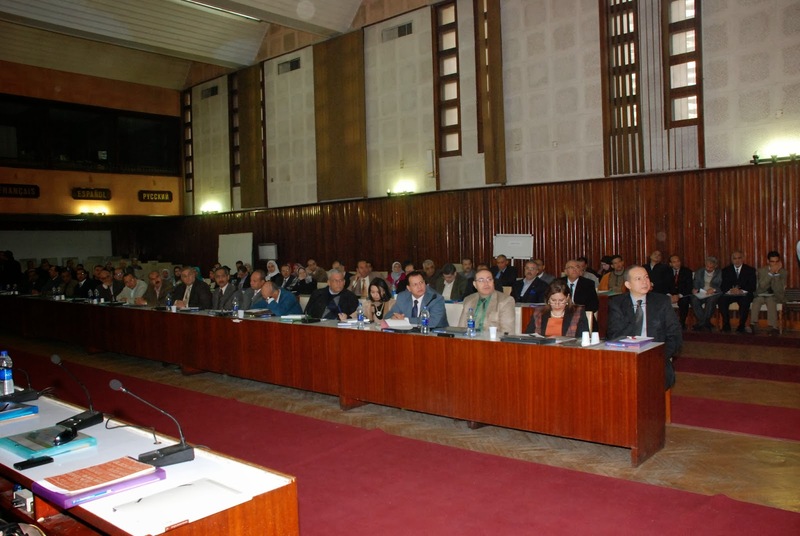 Participants in the PRIME inauguration ceremonies included a roster of high-ranking Egyptian officials, including Under Secretary of State for Ministry of International Cooperation, higher-up staff from the Ministry of Agriculture as well as the First Under Secretary of State of the Ministry of Agriculture in each of the seven governorates covered by the project, and government officials at the Ministry of Agriculture. After the opening ceremony was concluded, it was time to get down to work. Project teams attended the first session of PRIME’s start-up workshop, which dealt with issues related to project monitoring and evaluation. The second day of workshops covered monitoring and evaluation as well as finance and procurement issues. Thanks to these intensive workshops, the project teams were able to dive right in, getting acclimated to both the programme and its logistics.